This morning, I received a very exciting letter in the mail. 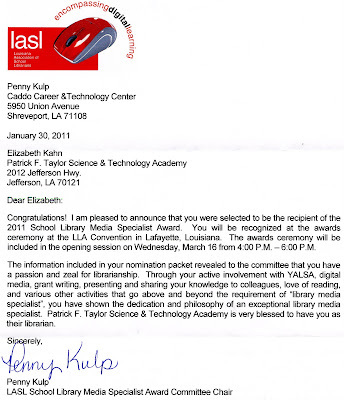 Louisiana School Library Media Specialist for 2011! Here is a copy so that you can read all about it. From one Louisiana LMS to another...CONGRATS! Thank you, I am really excited about this. 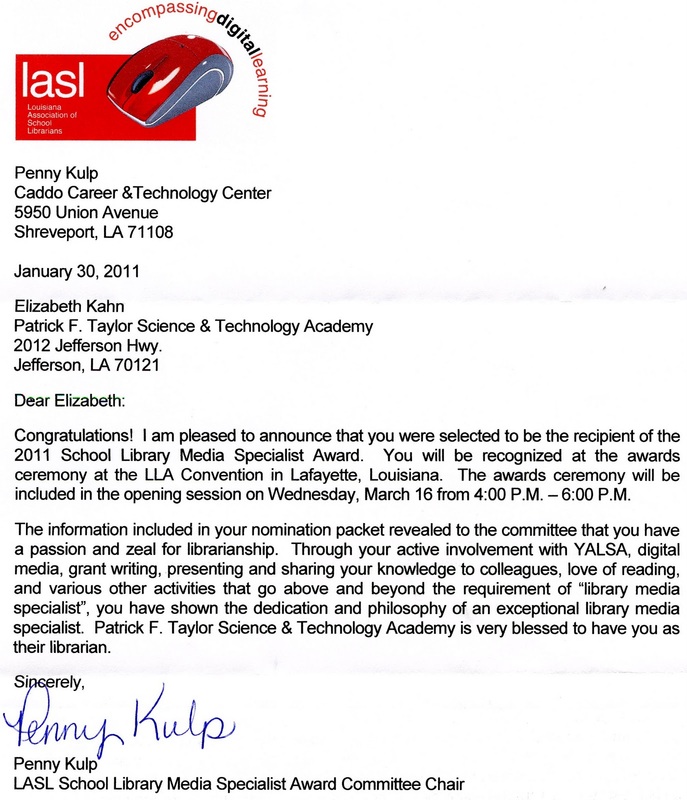 I have been a librarian for 20 years, and this validates all the hard work that I have done for so many years. Congratulations! You deserve all the awards you can get! Yay!! !